SAN FRANCISCO—The Judicial Council today adopted recommendations from its Trial Court Budget Advisory Committee on projects and programs that support trial courts to receive $92 million in funding from the Trial Court Trust Fund and the State Trial Court Improvement and Modernization Fund in the current fiscal year. Examples of areas to receive funding include self-help centers, technology support, the complex civil litigation program, education of judges and court staff, and reimbursement for other court costs. The Trial Court Budget Advisory Committee met on August 14 to finalize recommendations on distributing the special funds that were then reviewed and approved by the council. Workload-Based Allocation and Funding Methodology Adjustment Process: The council approved a recommendation by the Trial Court Budget Advisory Committee for a process that will enable the committee to continue refining the new workload-based allocation and funding methodology adopted by the council in April. The process enables trial courts to identify and the committee to evaluate workload factors not currently addressed in the methodology. Funding to Replace Superior Court of Fresno County Case Management System: The council approved funding to replace the V2 criminal case management system in the Superior Court of Fresno County. Fresno is the only superior court using the V2 system. Up to approximately $2.4 million over two years will be allocated from the Trial Court Trust Fund for the project. The Judicial Council Technology Committee and the Trial Court Budget Advisory Committee reviewed the court's business case and joined in the recommendation to the council. The court expects to go live with a replacement for V2 approximately 18 months after the project starts, and from that point, the judicial branch will no longer have a financial liability tied to maintenance and support of V2. The court’s business case estimates that this replacement will save the judicial branch approximately $8 million over a five-year period. 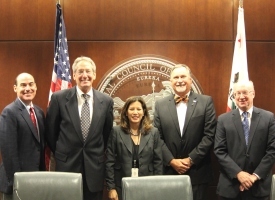 Fiscal Year 2014–2015 Budget Planning: The council approved budget requests for the Supreme Court, Courts of Appeal, trial courts, Judicial Council/AOC and the court facilities program as recommended by the Advisory Committee on Financial Accountability and Efficiency for the Judicial Branch, the Trial Court Budget Advisory Committee, and the AOC. Budget requests approved by the council will be developed into full budget change proposals (BCPs), the standard process for proposing funding adjustments. This year, the BCPs will be submitted to the State Department of Finance by September 13. Domestic Violence Practice and Procedure Task Force Final Implementation Report: The council accepted the final report of the task force and assigned remaining tasks of this group to two ongoing committees. The Family and Juvenile Law Advisory Committee will be responsible for a proposal about firearm relinquishment in family law matters, and the Violence Against Women Education Project Planning Committee—whose members are selected by the advisory committee co-chairs—will take up the remainder of the task force’s implementation work. Both groups will continue to consult with interested groups to develop ways to address ongoing and emerging issues of court practice and procedure in criminal and civil domestic violence cases. The council directed its Executive & Planning committee to oversee the transition and resolve any coordination issues in the continuing work of both groups. Oversight of AOC Contracts: The council adopted guidelines for review of the Administrative Office of the Courts (AOC) contracting process as recommended by the Advisory Committee on Financial Accountability and Efficiency for the Judicial Branch. The guidelines will enhance the council’s oversight of the AOC’s contracting process and provide increased financial accountability and transparency concerning AOC contracts. Efficiencies and Restructuring at the AOC Center for Judiciary Education and Research: The council issued a proclamation recognizing the 40th anniversary of the Center for Judiciary Education and Research (CJER) in providing education and training to the judicial branch. The council also heard a report on the restructuring of CJER, necessitated by funding reductions and implementation of Judicial Council directives arising from the Strategic Evaluation Committee’s final report. Overall, CJER staff has been reduced by 36 percent. California Blue Ribbon Commission on Children in Foster Care Report and Resolution: The council heard a report on the commission’s ongoing implementation activities and adopted a resolution declaring December 4, 2013, to be Keeping Kids in School and Out of Court Day to encourage courts and local communities to take special measures to address the issues of chronic absenteeism, truancy, and school discipline policies that can lead to negative outcomes for youth. December 4 is also the date of the Keeping Kids in School and Out of Court Summit, which will bring together representatives from more than 30 counties to learn about these issues and promising and proven interventions that they could implement in their own counties. First Report on Criminal Justice Realignment: The council received the AOC’s first report on implementation of the 2011 Criminal Justice Realignment Act. Under Penal Code section 13155, effective January 1, 2013, the AOC must collect information from trial courts on realignment implementation and submit the data to the California Department of Finance (DOF), the Board of State and Community Corrections (BSCC), and the Joint Legislative Budget Committee (JLBC) by September 1, 2013, and annually thereafter. This informational report includes the first data report to the DOF, BSCC, and JLBC, covering the first quarter of 2013, and describes the process for collecting such data. Audit Report on the Superior Court of Orange County: The council accepted an audit report on the Superior Court of Orange County. Judicial Council acceptance of audit reports is the last step to finalize them before their placement on the California Courts public website. Acceptance and publication of audit reports enhances accountability and provides the courts with information to minimize financial, compliance, and operational risk. Distinguished Service Awards for 2013: The council bestowed the judicial branch’s highest honors on six individuals who exemplify the leadership strengths that create significant and positive contributions to court administration in California. The awards will be formally presented on a date and at an event to be determined.